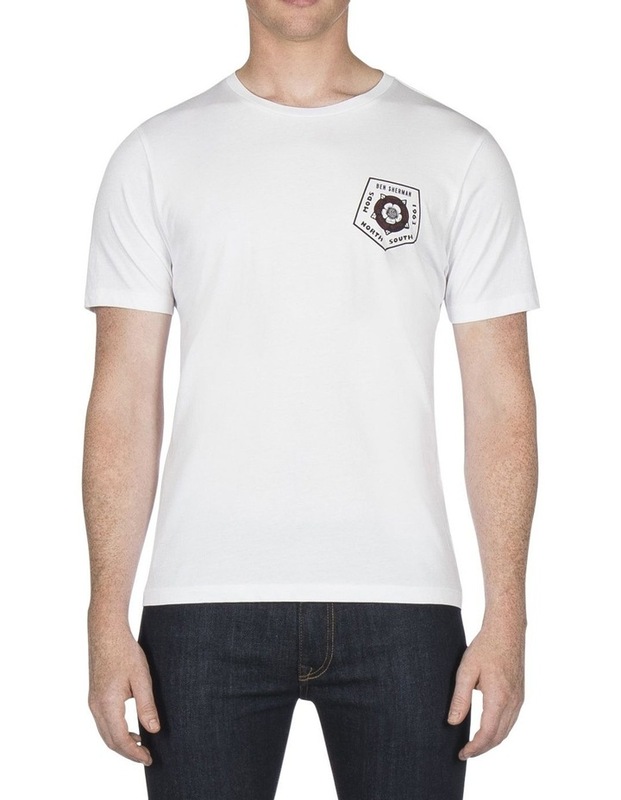 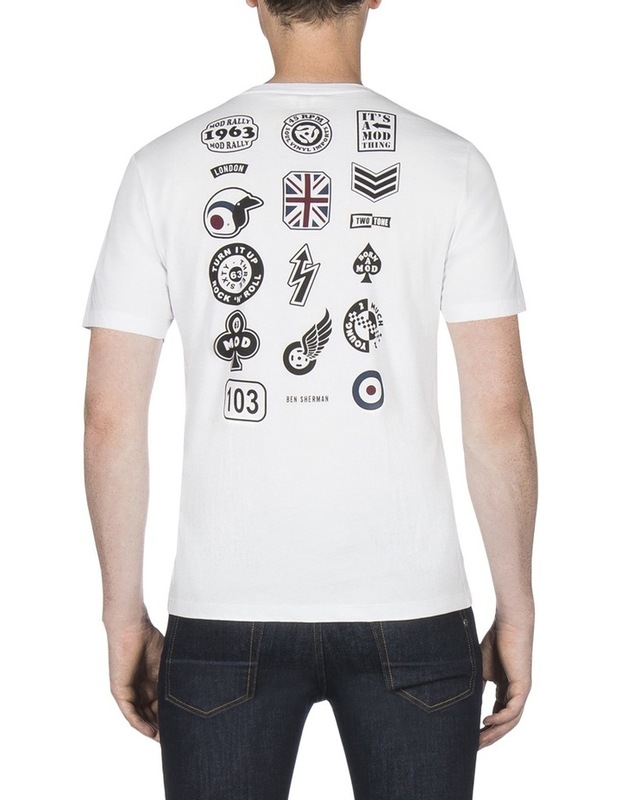 Badge Back Print Tee White. 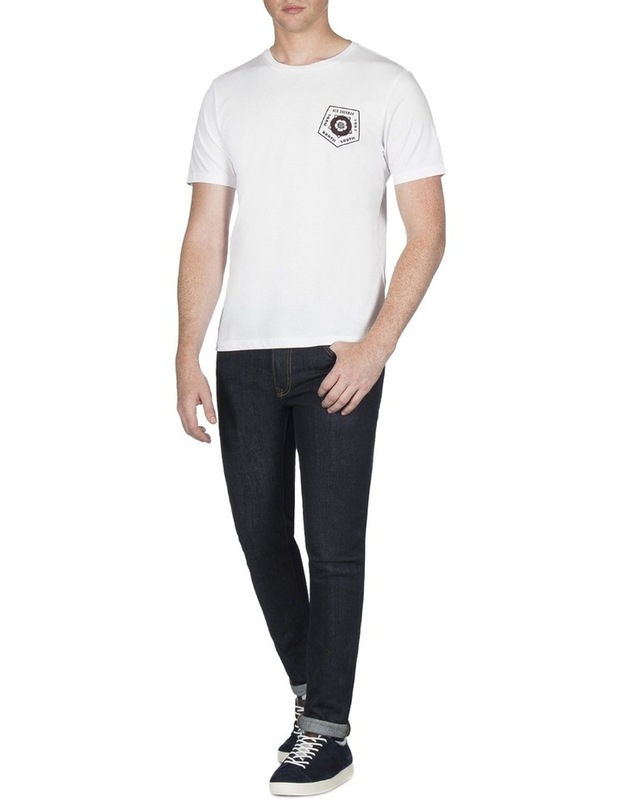 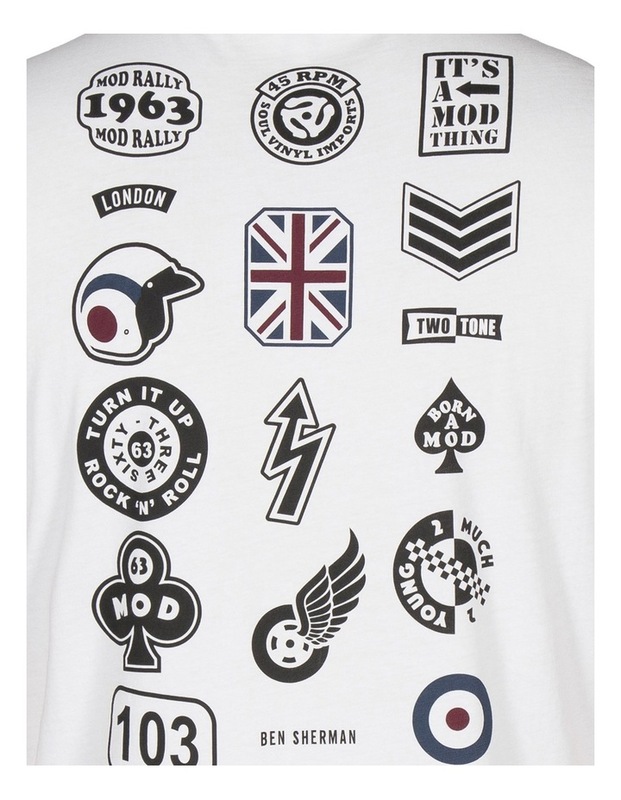 Mod rock and roll t-shirt heavily inspired by bikers badges which are worn on their jackets, they are known to represent a number of different things, this t-shirt is also linked to the musical ben sherman heritage. 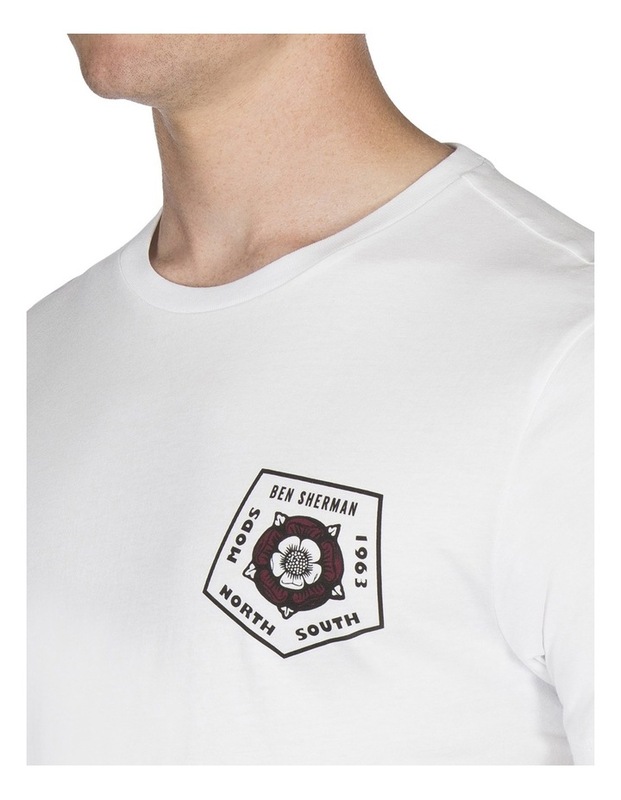 A crew neck design and ben sherman branding throughout.